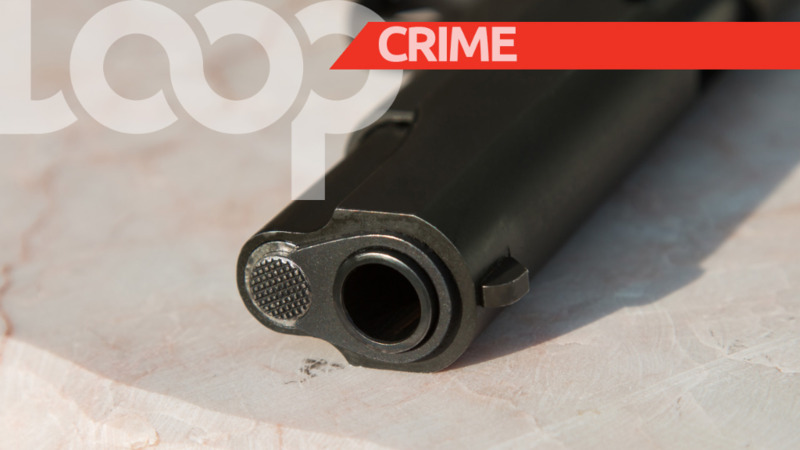 Trinidad and Tobago may have the highest murder rate in history this year if the current crime rate continues. In an interview with LoopTT, economist Marla Dukharan said Trinidad and Tobago can no longer ignore the rising cost of crime, which continues to increase despite rising expenditure by state agencies in a bid to tackle it. 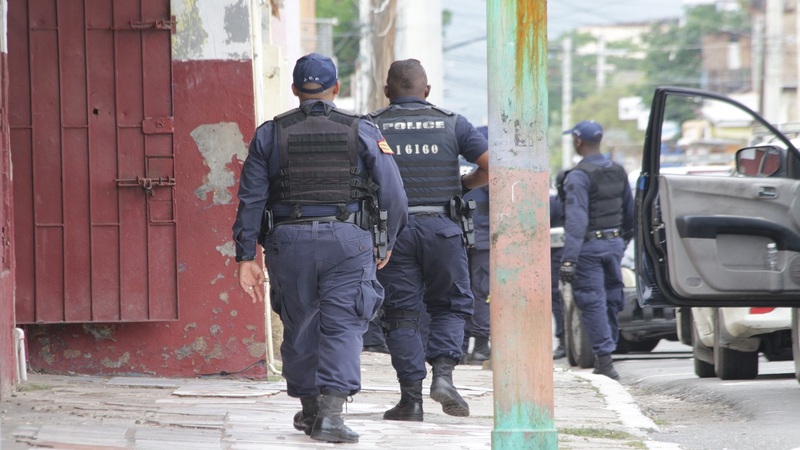 Approximately 550 people were murdered in Trinidad and Tobago in 2008, the highest number ever, while in 2017 approximately 494 murders were recorded. 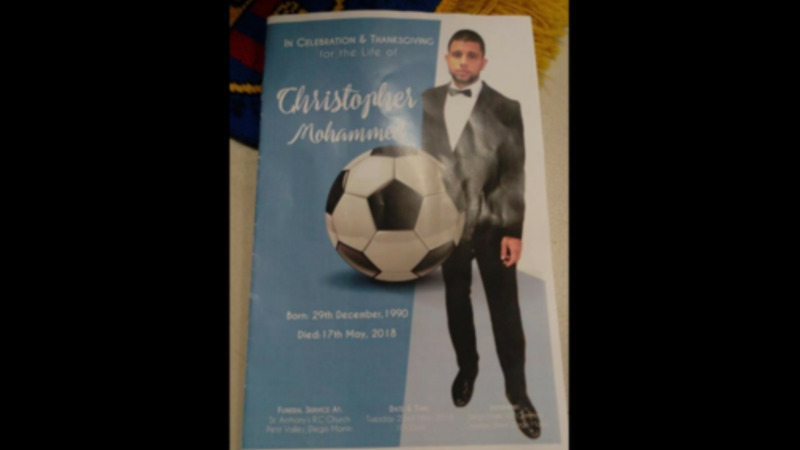 As of June 7, 2018, the murder rate so far this year stands at 240 according to updates from the Trinidad and Tobago Police Service(TTPS) - almost half of 2017’s tally. Dukharan said it is clear that taxpayers are not getting value for money as the funds being put into crime fighting are not bringing results. She referred to a 2017 report by the Inter-American Development Bank (IDB) called ‘The costs of crime and violence: new evidence and insights in Latin America and the Caribbean’, which looked at crime in the Caribbean and Latin American region. She said that at the time of the study, Trinidad and Tobago spent more money on crime than any other country in the Caribbean/Latin American region, but had the lowest detection rate. “The IDB said public expenditure on crime per capita is highest in Trinidad and Tobago at US$460.60 per capita, per annum, which is more than double the regional average of US$194.50,” she said. She added that the percentage of businesses that spent money on security is also the highest in the region. However, the detection rate at the time of the study was also the lowest in the region. The staggering drop in the detection rate was shown from an average of 64.8 percent murder detection rate from 1990-1999, which plummeted to 13 percent by 2013. “This means that although we have the highest spend per capita on crime in the region, we have the lowest detection rate. It means our money is not delivering results, the money government is spending, taxpayers’ dollars, is not delivering results. The detection rate then (in 2012-2013) was only 13 percent, and it has been extremely low and declining since then,” she said. 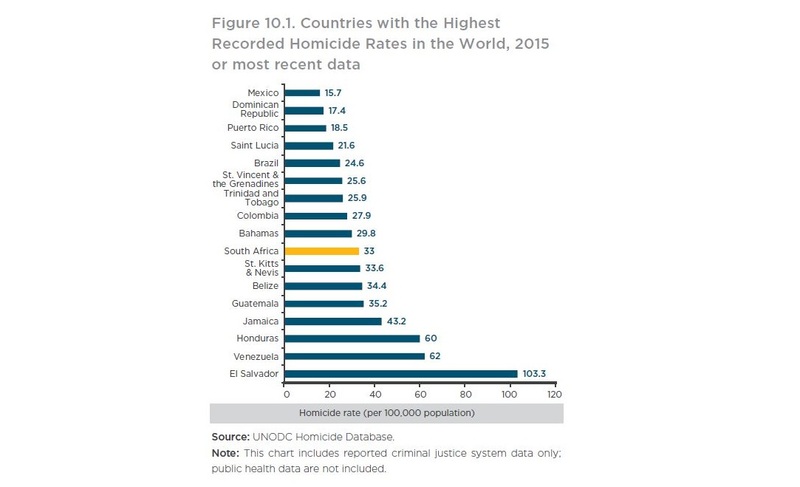 The study also showed that T&T had the 11th highest crime rate in the world in 2015, according to a UN study, and the rate has since risen. “We know this will have gotten worse, it will be a higher percent of GDP now as GDP has declined since then and we know that the cost of crime has gone up as the homicide rate has gone up since then,” she said. 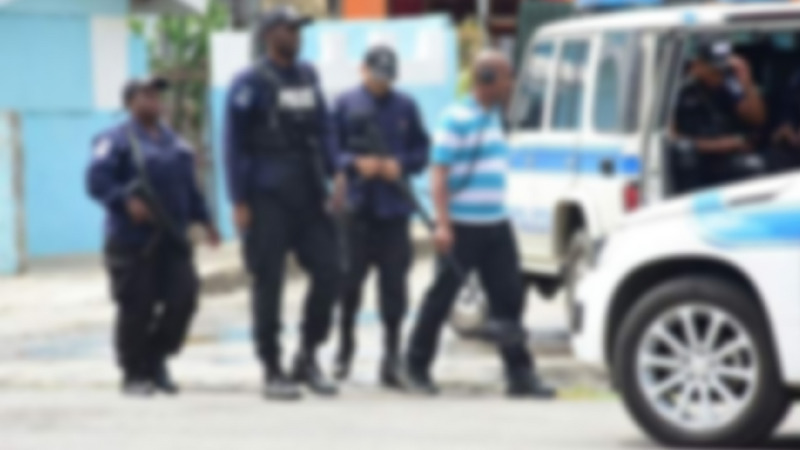 Trinidad and Tobago’s crime-related costs amounted to a whopping 3.52 percent of GDP in 2014, a figure which Dukharan said has most likely risen since that time. In 2014, Trinidad and Tobago spent a total of 1.6 million US dollars in crime-related costs, according to the IDB's study. Dukharan said according to a 2012 UNDP report, government expenditure on crime was the highest in the region - but for every dollar spent only 15 cents were spent on prevention. “That is where they’re saying the weakness is. More should be spent on prevention rather than reactive methods such as incarceration etc.,” she said. Dukharan said however that Trinidad and Tobago’s crime problem, while serious, is just part of a larger issue crippling the region. “I think this is important to highlight because we want to show that this is not a Trinidad and Tobago-specific problem, not to diminish serious issues in Trinidad and Tobago but to show that we have a broader regional problem,” she said. Overall estimates reveal that crime costs Latin American and the Caribbean countries 3 percent of GDP, on average. 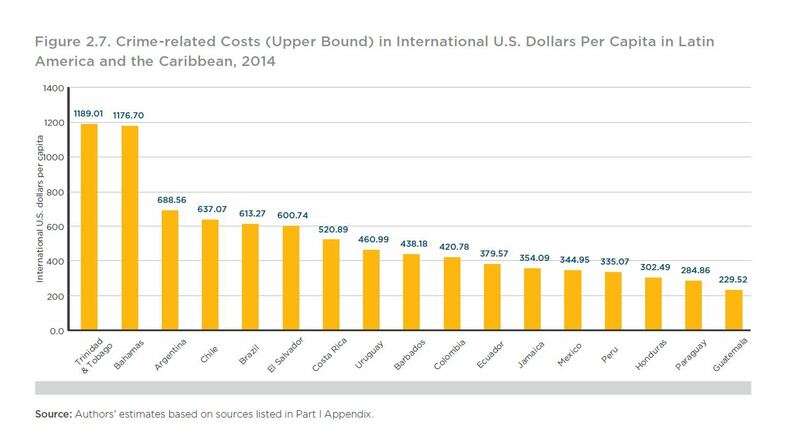 Trinidad and Tobago and The Bahamas have the highest crime costs at well over US$1,000 per capita per annum. Dukharan pointed to the need for instutiional reform in order to tackle crime at the root, for example white collar crime. “Not only is white collar a crime specifically an overall aspect of the crime problem, it aids and abets and causes other types of crime, including drug trafficking, money laundering, murders, robberies, all of the above,” she said. She said Trinidad and Tobago’s institutions must be updated in order to tackle these issues and make a serious dent in crime. “Not just Trinidad and Tobago but the whole English-speaking Caribbean, we all suffer from institutional weakness. The institutions that the British left us with at Independence, while they have evolved, upgraded and reformed their institutions to be relevant and appropriate for the current situation, we haven’t. “On a broad scale we have had institutional degradation, particularly over the past 10 years, which means our institutions cannot effectively deal with the challenges that we currently face, be it crime, climate change, inequality, economic challenges etc., none of these issues are our institutions capable of addressing. The IDB study found that “in general, judicial systems in Caribbean countries have been found to be plagued by excessive processing delays, long backlogs, and low conviction rates”. Dukharan said the judicial system is in sore need of reform as well. “We have a very weak judiciary, from the Chief Justice go down in terms of backlogs, we have a weak public sector. The police service has not appointed a Commissioner of Police for many years. All of these are manifestations of institutional degradation that has taken place over the past 10 years and, in my view, has accelerated, and that means we are not able to respond to the crises that we face, crime being a major, if not the major one of them. “We need large-scale meaningful institutional reform, public service reform, judicial reform, police reform, all of the above,” she said.